The final deadline for REACH (Registration, Evaluation, Authorization and Restriction of Chemicals) is coming up in less than a year. Many SMEs are still working toward registration of substances. Once this process is well underway, however, there are still updates to complete. Safety Data Sheets for mixtures are among the most common challenges. Formulators have specific responsibilities as downstream users under REACH, just as manufacturers and importers have responsibilities. One particular challenge in this case is the choice between LCID (Lead Component Identification) or SUMI (Safe Use of Mixtures Information) methodologies. Sometimes called a “top down” approach, Lead Component Identification starts with the data for substances contributing to exposure in end-use scenarios. Manufacturers provide information about their substances, including Chemical Safety Assessments and also Safety Data Sheets and information for end-use scenarios relating to their substances. In some cases, this information may cover exposure concerns. 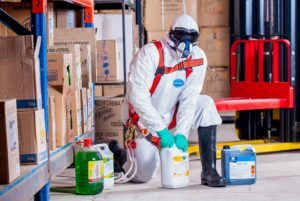 If formulators use information about the most significant or hazardous substances in their mixtures, that information may cover the requirements for their safety data sheets. If you can’t confirm that the end use scenarios provided by chemical manufacturers are the same as the use scenarios for your mixtures, you can ask the chemical manufacturers to add your end-use scenarios, change to a supplier whose SDS and use scenarios match yours, or create your own. REACH has templates you can use. CFIC provides a guide for LCID. Te SUMI or “bottom up” approach starts with safe use guidelines relevant to your end-use scenarios. If safe use guidelines for your substances already exist — and they match your end-use scenarios — you can incorporate that information into your safety data sheets. If SUMI reports already exist for all the substances in your formulation, you can append the SUMI reports to your SDS.This requires that the SUMI reports include environmental, worker and consumer exposure. It is also essential that the exposure scenarios match those for your formulation. If the SUMIs aren’t properly aligned with your needs, you can reference them and include their data in your Safety Data Sheets. So — LCID or Sumi? To some extent, the choice between LCID and SUMI approaches may come down to which is readily available for the substances in your mixtures. However, it may be necessary to combine the two approaches. One of the big questions: will SDS software providers include LCID or SUMI tools in their solution packages? “Many SMEs need to keep track of imported and manufactured quantities,” an expert in the field assured us, “and need good software solutions.” You also need software solutions that help guide you through the process and keep all your data accessible. Schedule a demo of EUPHOR and see what a difference we can make.